Nordic curls may not be your no.1 exercise but you really should consider adding it to your programme! 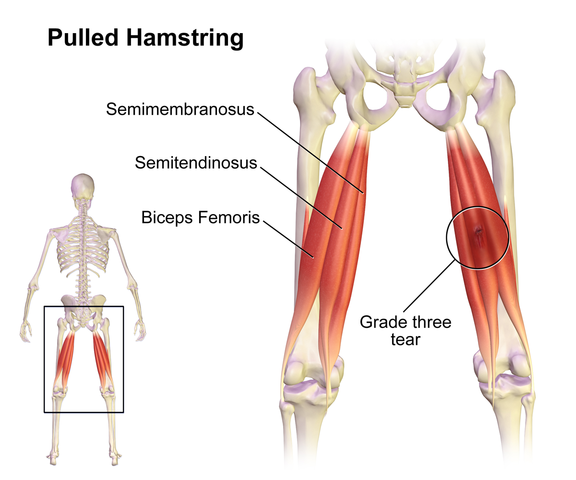 Hamstrings strains are a common injury in American Football due to maximal sprinting, kicking and sudden accelerations. Unfortunately these injuries can cause significant loss of game and training time and, even then, re occurrence rate of hamstring strains are high. Studies evaluating the mechanism of injury have found eccentric overload to be a possible cause of concern. Thus it has been suggested eccentric strength training may be important in reducing the rate of incidence. The Nordic hamstring curl is one method of eccentric strength training. The Nordic hamstring curl is never an exercise that people jump to add into their programme (unless you’re me) as it hurts! I’m not a sadomasochist but I just know that this exercise is great for strengthening the hamstrings and reducing risk of injury. At the recent IOC world conference there was heavy emphasis on the support of recent research into using Nordic curls as a preventative measure against hamstring strains. Sports Medicine Professor Roald Bahr said, ‘if you enjoy risk taking, you should NOT include Nordic Hamstrings in your training programme’. Pretty hard hitting advice from Bahr telling us to do our Nordics! A recent study by Arnason et al. (2008) which looked at the effect of Nordic hamstring exercise on reduction of hamstring injuries in elite soccer players, saw a 65% reduction in match injuries. The Nordic hamstring strain is an eccentric-only movement which is currently used by many elite athletes to strengthen and help reduce hamstring strains. Eccentric training (also known as ‘negative’ training) allows you to push your muscles past their normal point of failure. It is very effective for increasing strength, increasing the ability for muscles to absorb energy while lengthening and increasing muscle length. How to perform a Nordic Hamstring Curl? Kneeling on a pad, have a partner hold your ankles down. Hinging from the knees lower your body towards the ground. This should be performed very slowly, resisting the pull of gravity. Press up from the floor and get yourself back into the starting position. Note: You can also loop a large band under the arms and have your partner hold this. Or walk a swiss ball away from the body. These variations help the beginner when lowering against gravity. It is advisable to begin with a low number of sets and repetitions. Try 3 sets of 6 reps to begin. Like any other exercise, it is important that you warm up thoroughly prior to performing Nordic curls. Arnason, A., Andersen, T.E., Holme, I., Engebretsen, L. and Bahr, R., 2008. Prevention of hamstring strains in elite soccer: an intervention study. Scandinavian journal of medicine & science in sports, 18(1), pp.40-48.